Sydney Shop Girl: Life This Week 18/3/2019: It's MY Favourite! 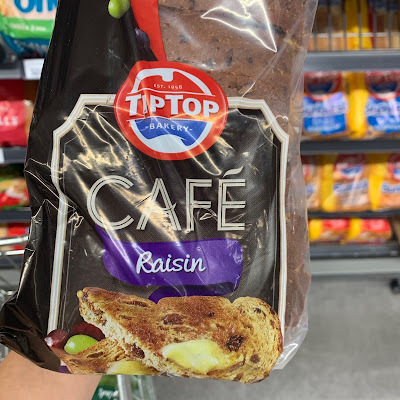 Top Top's Cafe Style (go hard or go home) Raisin Toast. 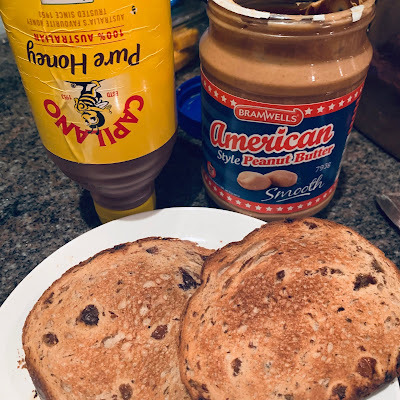 Peanut butter and honey is my preferred topping. I consider it a #winwinwin situation when we're down to just the ends of the loaf. For some reason, the end slices are always pretty thick on the Tip Top Cafe Fruit Loaf. End slice toast is one of my favourite things in the world - it's the perfect combination of toastedness, crust and warmed bread within. More recently, I've discovered the magic of homemade cinnamon sugar as an alternative topping to my toasted fruit loaf. It's a winning combination of sweetness, spice and warmth. It also seems healthier (to my mind) than just caving in and having a doughnut instead. Do you love the end slices of a loaf of bread? I love raisin toast but rarely have it at home. I just got a pie maker and you can make donuts in it - as they're baked and not fried, I have convinced myself that they're healthy so I can eat more of them! Hubby doesn't cook dinners but he always cooks breakfast at weekends, poached eggs, mushrooms and sourdough are staples with spinach and avo making an occasional appearance too! Now I want raisin toast for breakfast! I love both raisin toast and cinnamon sugar! But I haven't indulged in cinnamon sugar for quite a while. Craving it after reading this though! I've been loving my hot cross buns lately. My husband is a big fan of the chocolate ones but I still have the biggest place in my heart for the traditional tried and true. Nothing like a light toasting and plenty of butter with a cuppa in the afternoon. I love the smell of raisin toast but don't actually like raisins - so I don't eat it myself! :) Peanut Butter though...i could eat that from the jar. I do actually.